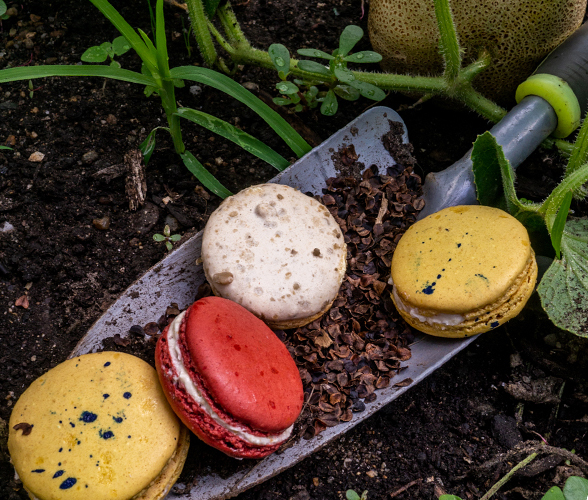 Our August French macaron collection was inspired by the the bright and delicious flavors enjoyed during summer’s peak. We utilized produce from our local farms to create the flavors of Heirloom Tomato & Peach, Corn & Blueberry, and Sunflower Melon. Read on to learn about the flavor profiles behind each! 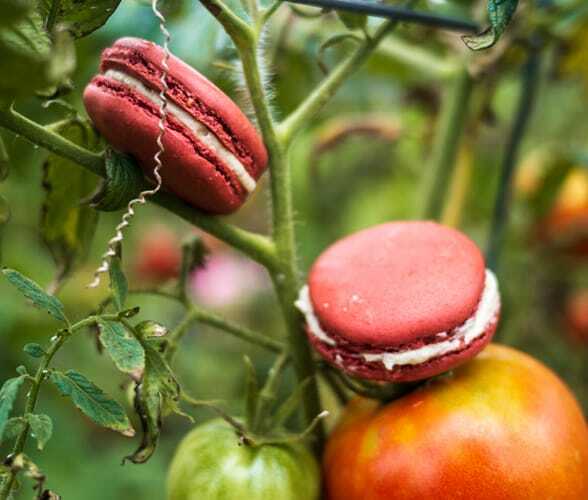 For this macaron we wanted to combine the bright and acidic flavor of heirloom tomatoes with the floral sweetness of fresh peaches. These are reduced down together into a jam. We are using tomatoes from Moonrose Farm in Cranston and peaches from Wishing Stone Farm in Little Compton. 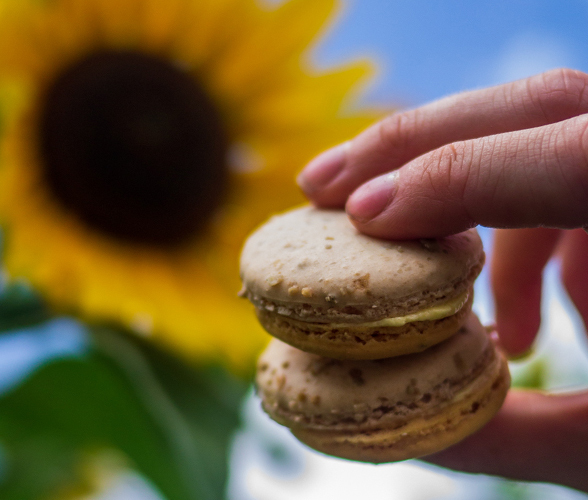 For this macaron, we substitute some of the almond flour in the shell with corn flour. 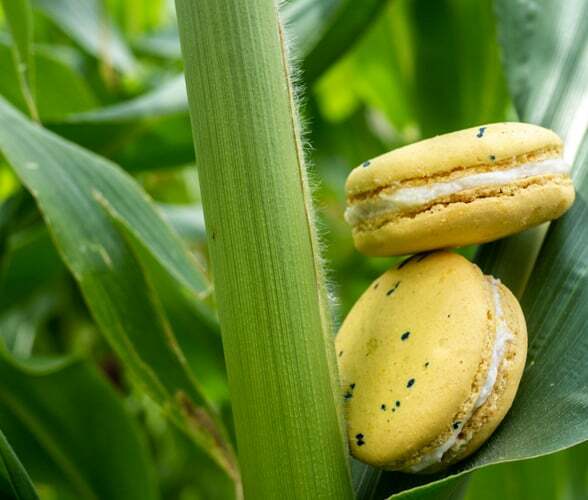 Sweet corn from Nest & Song Farm in Westport, MA is simmered down with butter and sugar and folded into buttercream. This is paired with blueberry jam featuring berries from Wards Berry Farm and Osamequin Farm in Seekonk. Sunflower seeds are combined with almond flour in the shell, and also sprinkled on top with a touch of salt. These are filled with a melon buttercream using melons from Nest & Song Farm creating a nutty, salty, sweet, and floral flavor contrast. October’s Macaron Collection is Harry Potter-Themed!